It was a phrase I first came across a few years back after a slew of readers suggested it to me following my first published novel, DOMINATUS was released. 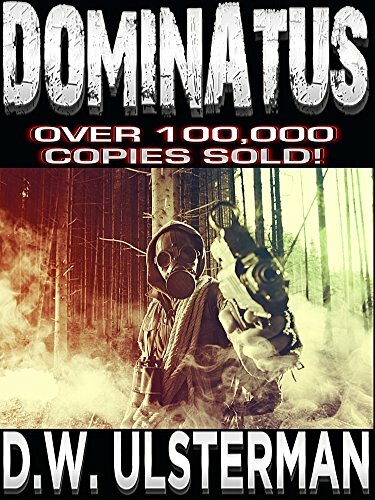 Dominatus, being a story of a small group of survivors following the collapse and then replacement of the American government by a brutal globalist regime, struck a chord with readers who firmly believe that scenario not to be a thing of mere fiction, but all too possible reality. The real-world “American Redoubt” movement is largely cut from that same premise. It is a a fascinating subset of modern society that is too often ridiculed and dismissed, their advocates called reactionary, racist, or just plain nuts. I’m of a mind to believe that basic preparation is never “crazy”, has nothing to do with race, and is reactionary in a positive way. You know, like wanting to protect you and your loved ones. Some might call that nuts, but I see it as basic common sense. 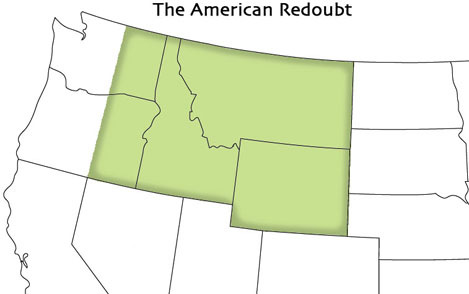 The phrase “American Redoubt” was first coined by prepper novelist, James Wesley, Rawles. I know this personally because I had so many of his readers heap praise upon my own DOMINATUS. They were all too happy to give me an education on the “American Redoubt” movement. The years that followed Dominatus don’t appear to have lessened the concerns of those who feel as if something has gone terribly wrong in America. I’m right there with them. With skyrocketing debt, worsening racial tensions, federal authorities attacking ranchers, and politicians who repeatedly appear to only be concerned about their own self-interest over doing what is right for the country, such concern is all too understandable. And though Dominatus took place in Alaska, the premise of the current “American Redoubt” map is the same. Areas offering lots of open, yet rugged, terrain, and thus, freedom to live by your own rules, especially if the current teetering U.S. government was to collapse altogether. 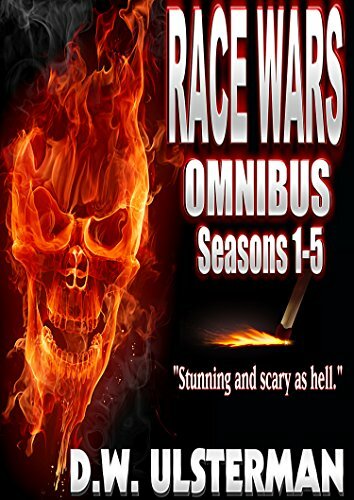 My own regular readers likely recognize something very similar in my more recent RACE WARS series where again, a group of survivors fought to see another day even as the government sought to see them dead. That story has multiple origination points, but ultimately leads to a desolate outpost on the North Dakota – Montana border where again, those who prepared for calamity, were the only ones left to then wage war to defend themselves. As for me, I too continue to quietly prepare in my own way for what might come. That preparation includes the sea. It is in my blood, the very genetic marrow of my people, and so it is from that generational experience I hone my own protective instincts to keep those I care about, safe.